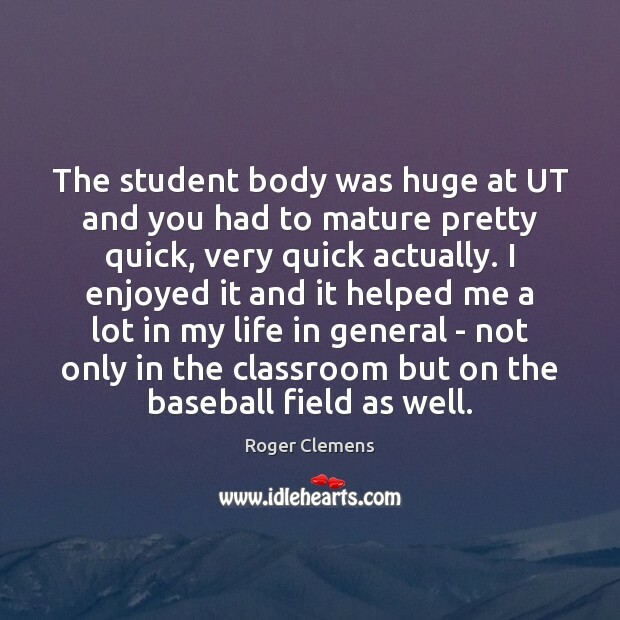 Quotations about Baseball Field. Quotes to stimulate mind and drive action! Use the words and quote images to feed your brain inspiring things daily! I've felt some great feelings on the baseball field... in front of 50,000 people and millions on TV... but the feeling you get when you give a kid a chance, that is a hundred times greater than that feeling. 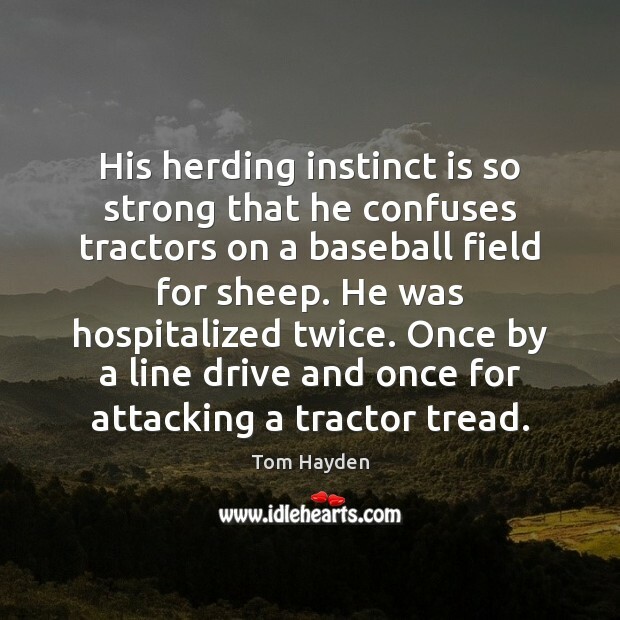 His herding instinct is so strong that he confuses tractors on a baseball field for sheep. He was hospitalized twice. Once by a line drive and once for attacking a tractor tread. I wish everybody had the drive he (Joe DiMaggio) had. He never did anything wrong on the field. I'd never seen him dive for a ball, everything was a chest-high catch, and he never walked off the field. 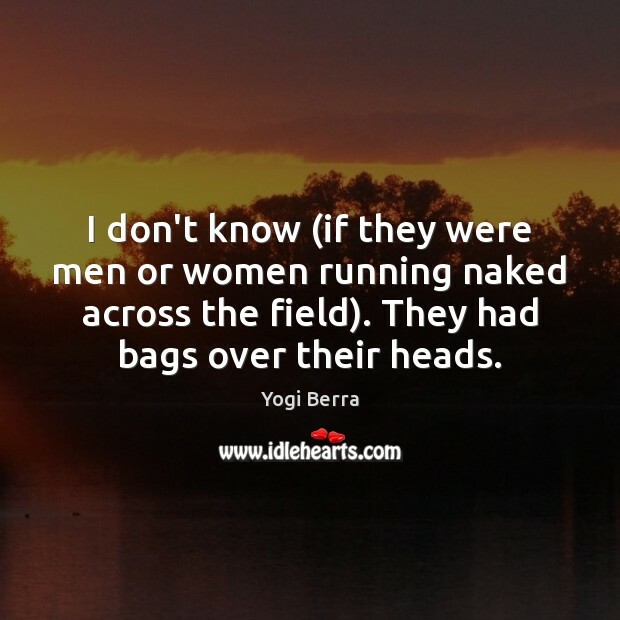 I don't know (if they were men or women running naked across the field). They had bags over their heads. If I had admitted my guilt, it would have been the same as putting my head on the chopping block - lifetime ban. Death penalty. 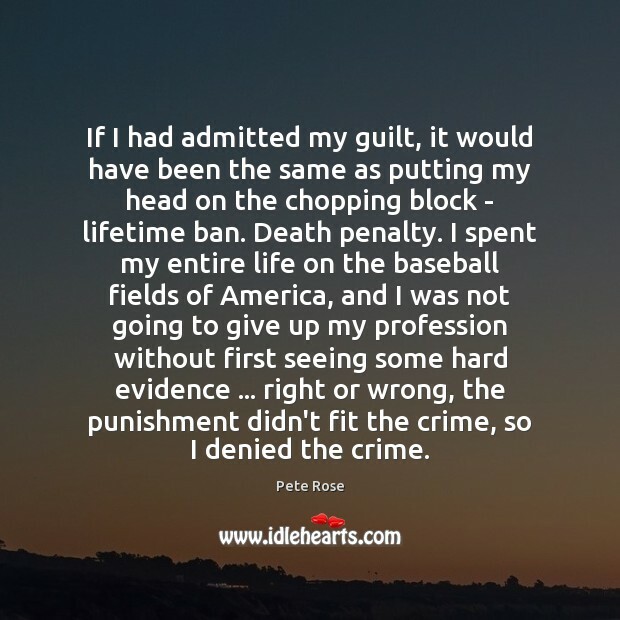 I spent my entire life on the baseball fields of America, and I was not going to give up my profession without first seeing some hard evidence ... right or wrong, the punishment didn't fit the crime, so I denied the crime. 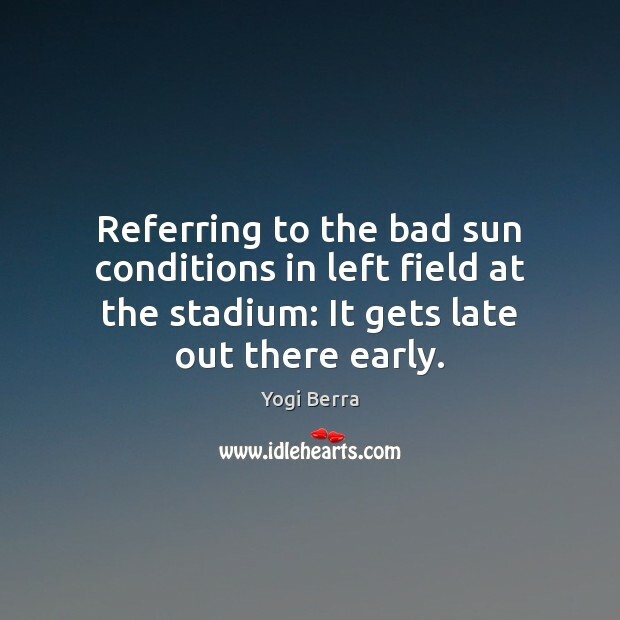 Referring to the bad sun conditions in left field at the stadium: It gets late out there early. 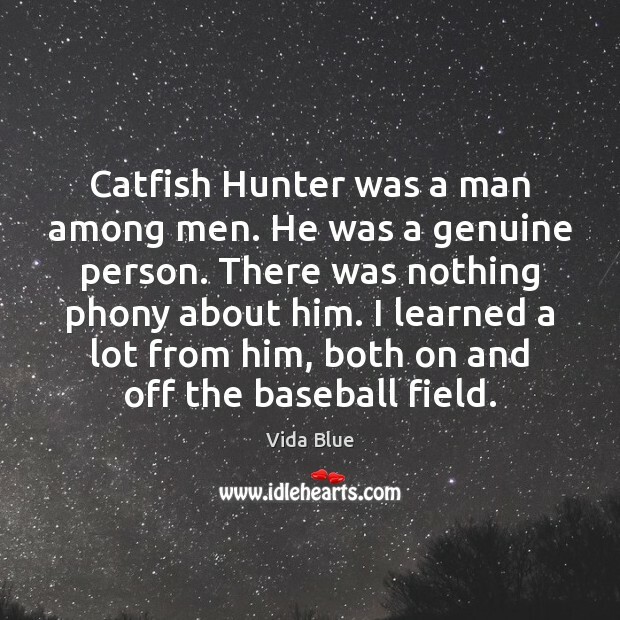 Catfish Hunter was a man among men. He was a genuine person. There was nothing phony about him. I learned a lot from him, both on and off the baseball field. 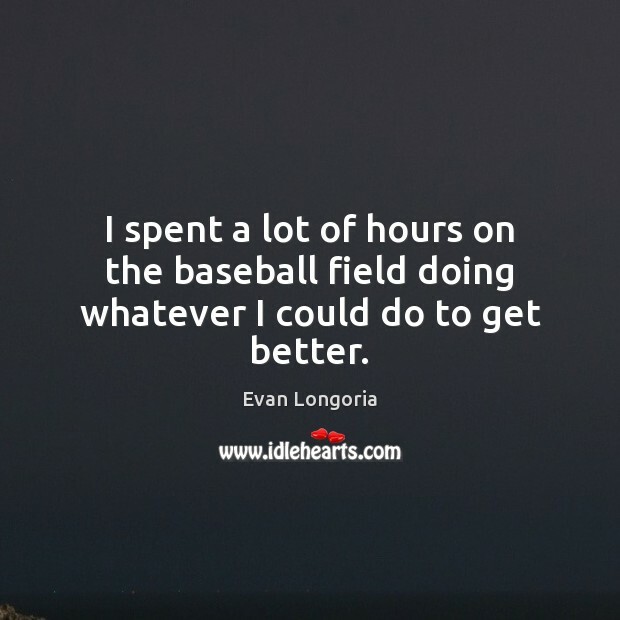 I spent a lot of hours on the baseball field doing whatever I could do to get better. 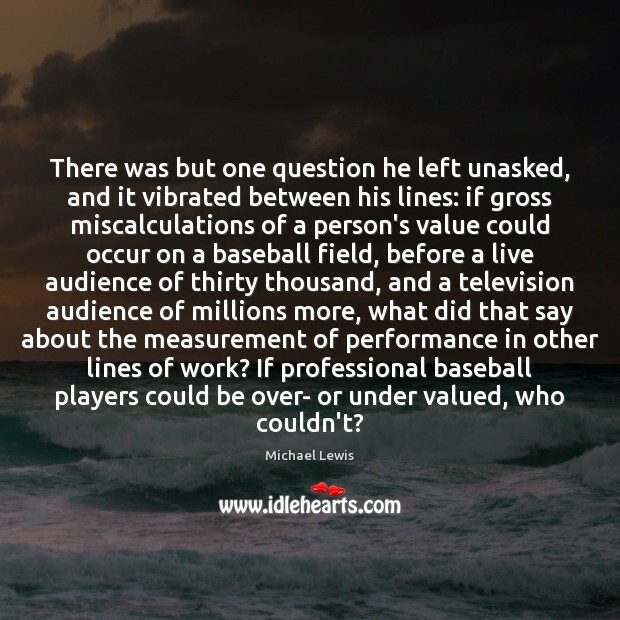 There was but one question he left unasked, and it vibrated between his lines: if gross miscalculations of a person's value could occur on a baseball field, before a live audience of thirty thousand, and a television audience of millions more, what did that say about the measurement of performance in other lines of work? If professional baseball players could be over- or under valued, who couldn't? 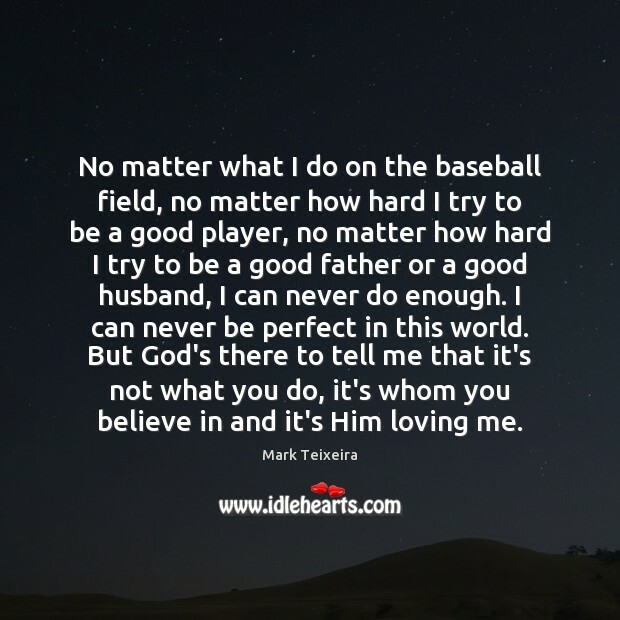 No matter what I do on the baseball field, no matter how hard I try to be a good player, no matter how hard I try to be a good father or a good husband, I can never do enough. I can never be perfect in this world. But God's there to tell me that it's not what you do, it's whom you believe in and it's Him loving me. 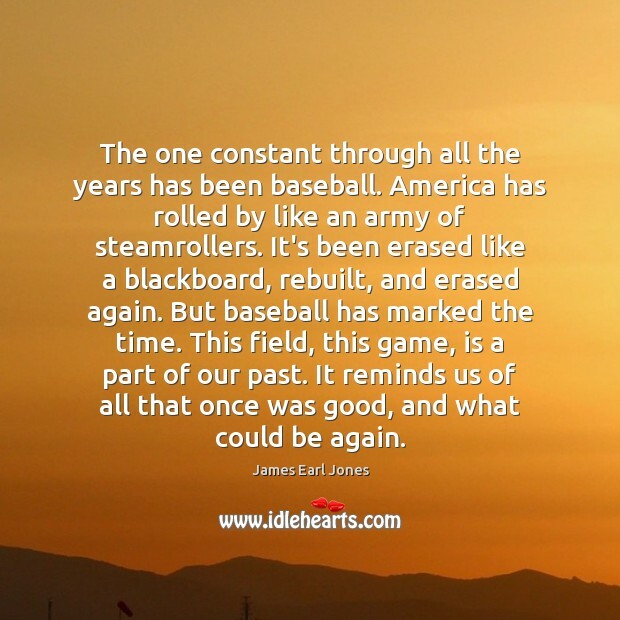 With what has occurred in my life, the baseball field is where I feel most comfortable. That's what I feel I was born to do and it's what I do best. 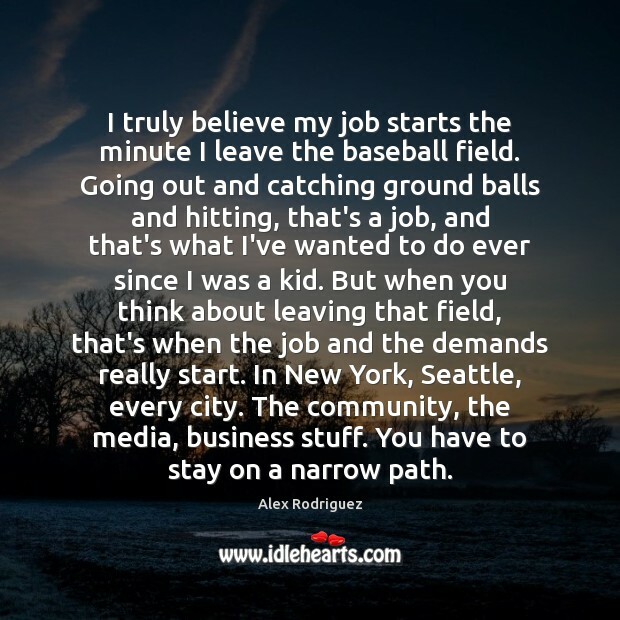 If you want to get to know me, you have to get off the baseball field. 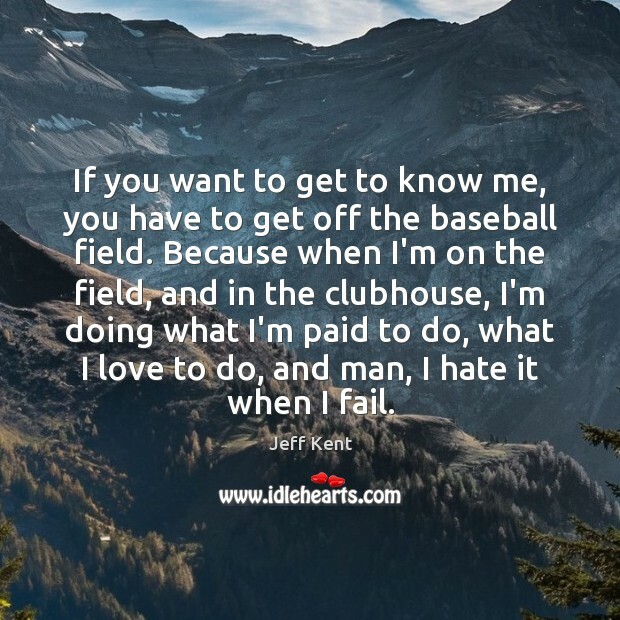 Because when I'm on the field, and in the clubhouse, I'm doing what I'm paid to do, what I love to do, and man, I hate it when I fail. 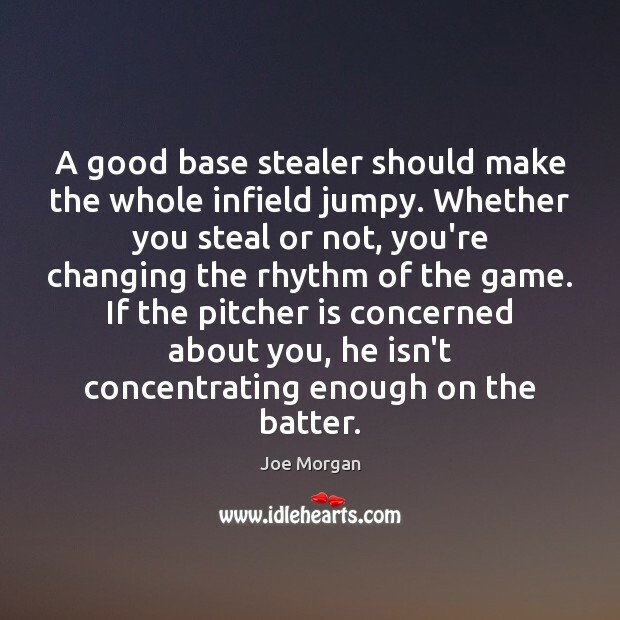 A good base stealer should make the whole infield jumpy. Whether you steal or not, you're changing the rhythm of the game. 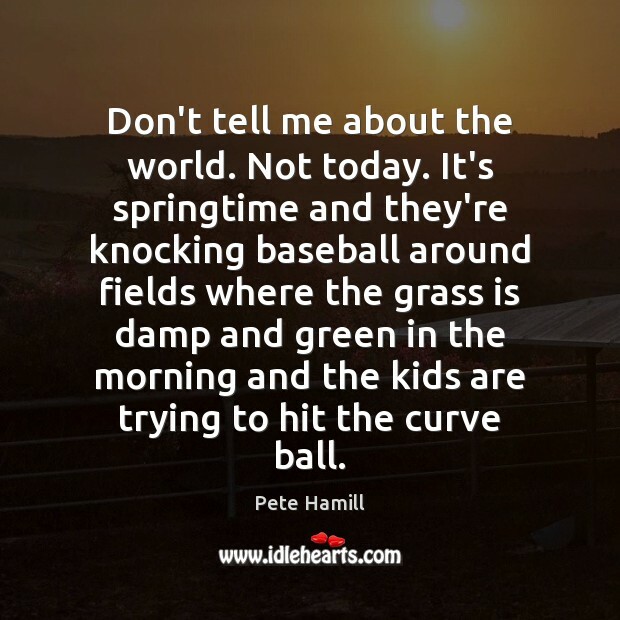 If the pitcher is concerned about you, he isn't concentrating enough on the batter.